Centre of Excellence for Rural Development (CERD) is a non-profit, non-governmental organization registered with Securities and Exchange Commission of Pakistan (SECP) under section 42 of the Companies’ Ordinance 1984. CERD is also Pakistan Centre of Philanthropy certified CSO and registered with FATA Secretariat, Directorate of Social Welfare under the Voluntary Social Welfare Agencies Ordinance. CERD is amongst the leading not for profit companies in Khyber Pakhtunkhwa and FATA with diverse range of portfolios and partnerships in number of sectors. 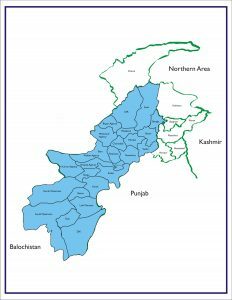 CERD has extensive experience of working in 17 districts of Khyber Pakhtunkhwa including Hangu, Bannu, Lower Dir, Upper Dir, Swat, Shangla, Buner, Malakand, Swabi, Mardan, Charsadda, Nowshera, Peshawar, Kohat, D.I Khan, Karak, Laki Marwat and 03 agencies of FATA namely Khyber Agency, Mohmand Agency, Kurram Agency and Frontier Regions (FR) Peshawar, FR Kohat and FR Bannu. Since its inception, CERD has emerged as one of the major and key humanitarian partner to UN Agencies and international organizations. It has been implementing Gender and Human Rights Protection, Community Services, Water Sanitation and Hygiene, Community Physical Infrastructure, Livelihood, Food Security, Health, Nutrition, Disaster Management, Human Resource Development, Agriculture and Livestock Programs across Khyber Pakhtunkhwa and FATA. With the financial delivery of more than US$ 29 million in the last decade, CERD is managing 272 qualified and experienced managerial and support staff and has a network of its offices across Khyber Pakhtunkhwa and FATA. We enjoy excellent working relationship with the GoP, Government of Khyber Pakhtunkhwa at provincial as well as district level. 1. Human Resource Development Network (HRDN) and participates in all its activities and forums. 2. Pakistan Centre of Philanthropy (PCP). 3. Sustainable Development Policy Institute (SDPI) Islamabad. 5. All humanitarian clusters KPK and FATA. Feel free to register your complaints/suggestion here.